It’s almost like a badge of honor with this group. They look at Elon Musk or Richard Branson as kindred spirits who used their eccentricities to break through the concrete wall of second stage growth. I’ve worked with over 500 of these outstanding individuals over the past 2 years and almost all share the same condition. 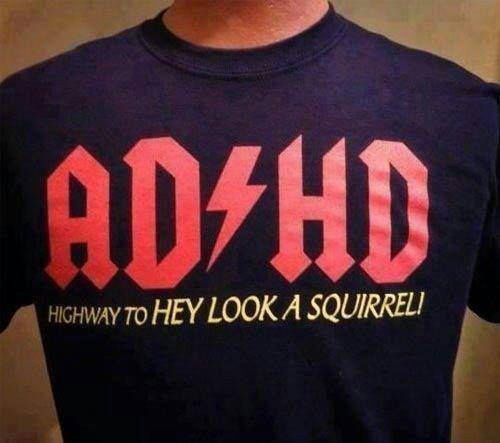 Of course they’re driven to distraction; they’re intelligent, innovative, and impetuous risk takers. They lead companies that are too big to be small and too small to be big, and most want to scale their business. As you might guess, the most dangerous threat to them and their companies is not competition. It’s the tyranny of the urgent. They spin too many plates and lose focus on their venture’s value proposition. They stop doing what they do best and get sidetracked from executing on top priorities. Even in the midst of the maelstrom, they often get bored. I recently asked my friend Bill Wydra, President of Ash/Tec Manufacturing, to identify his greatest fear as an entrepreneur. Without hesitation he responded, “Boredom.” Unfortunately, over 90% of these CEOs and Founders lose their investment in the adolescent stage of growth that we call No Man’s Land because of CEO blind spots like micro-management, boredom and team misalignment. 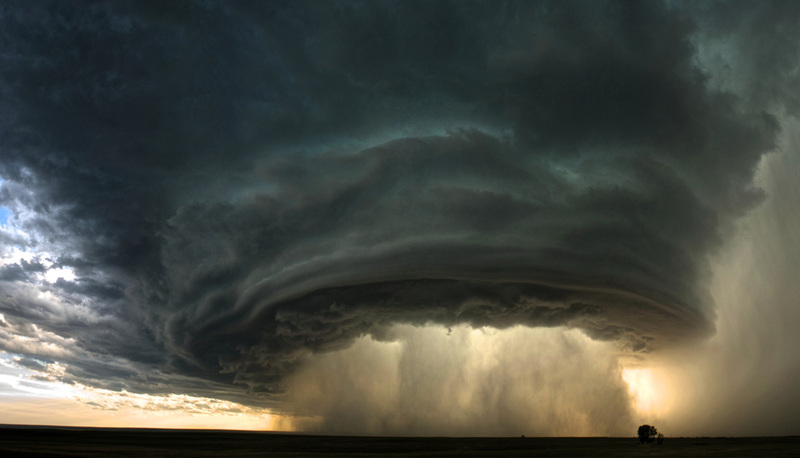 Listen to my partner, Doug Tatum, briefly describe some of the symptoms of No Man’s Land. How Do the Top 10% of Companies Succeed? from The Benchmark Button on Vimeo. 1. Do I delegate all non-critical customer decisions? The tendency, of course, is for CEOs to get hands-on in almost everything during startup. But if the CEO fails to delegate then he/she gets buried in the details and can’t experience #2. 2. Am I positioned to do what I do best? Years ago every professional batter knew what pitcher Nolan Ryan, the all-time strikeout leader, would throw when he took the mound. For almost 20 years Ryan hurled a 100 mph heater that, as all-pro Reggie Jackson once stated, “…seemed to disappear on the way to the plate.” Every CEO has a fastball. When I recently asked Bryan, the CEO of one of the fastest growing technology companies to identify what he did best he replied, “I’m great at raising capital.” What would happen if Bryan was so buried in business operations that he didn’t have time to perfect and throw his fastball? His company would grow itself out of existence. A CEO must be freed up to do what she/he does best in order to survive No Man’s Land. 3. Have I got the right people in the right leadership positions? This is a tough one, but not because the CEO doesn’t know the answer. A fast-growth company moving through adolescence almost always has to endure strategic hires and fires. The friends that came on in start-up, usually for a title rather than a salary often don’t have the talent or experience to scale the business. The answer to this question is often excruciating, but the decision is essential to the company’s future. 4. Can my leadership team clearly articulate and agree on the Value Proposition? Over 85% of growing companies don’t have a concise, cohesive statement that communicates their unique competitive advantage. That means that most CEOs and their leadership teams are almost always out of sync on why a customer buys their product. This impact of team misalignment on the value proposition permeates through the entire organization, ultimately resulting in poor resource allocation and low ROI. 5. Does my leadership team spend more time planning than executing? Company leadership will flail like a beached pompano if team alignment and accountability on the top 3-5 company priorities does not become a routine. The company must, at some point, transition from a culture of loyalty to performance. Over 80% of CEOs believe they lead a performance-based culture, but their teams believe otherwise. On the other hand, we’ve seen that a focused team that rows in the same direction and executes on the right things can increase performance by at least 20%. The Pattern You see the pattern. A company can get stuck in No Man’s Land if the head honcho doesn’t ask and answer these 5 questions in time. But, if the leadership team assumes responsibility for all non critical decisions, and if the team gets in sync on the priorities to execute; then the CEO can throw her/his fastball and scale the company like every other successful AD(H)D Economy Hero. Just ask Richard Branson; that is if you can get his attention. “See what?” I asked. He drove closer, and this also changed the angle of the light. Then I understood. A lion was hiding in the grass watching the river, just waiting for some “fast food” to come and get a drink. We were sitting in an open-air Land Rover with no doors and no windows. I then understood why it was called adrenaline grass, as I felt my heart pound. For the moment, let’s change the angle of light slightly on your business. Have you considered the possibility of danger lurking in your company’s growth enough to make you heart pound? Although my client currently experienced excellent growth, he immediately recognized that his EBITDA would drop dramatically in next three stages of revenue. My client was neck deep in the adolescent stage of business. No Man’s Land is a stage that requires increased capital to fund growth – both physical capital, and human capital (new management) in order to access the higher profitability of subsequent revenue zones. He knew he had an immediate decision to make: pull back on the reins and wait out the recession, or seek private equity to fortify his growth through the next three stages. He chose, as Economy Heroes often do, to throttle up! This financial “ravine ramification” occurs with almost all companies, industry neutral. My client was fortunate enough to see through the adrenaline grass before he walked into it. How’s the angle of light on your company’s growth? I know, you don’t scare, but don’t wait too long. Once you hear the growl, it’s too late. Does Your Company Have Adequate Capital to Throttle Up? Our client’s company was at the bottom of the trough, poised to throttle up the wall of growth pains. EBITDA dropped dramatically in the next revenue zone industry wide due to infrastructure and management requirements. Once they peaked over the crest at $20 million the ride would be easier, but they had to pump in capital to fuel them through the transition. Ironically, growth can be one of the greatest illusions of corporate health. The sooner CEOs identify the wave before it crests and acquire the capital horsepower required to carry them through that dangerous transition – that my partner Doug Tatum identifies as No Man’s Land – the higher the probability that the company will survive and scale. Almost all CEOs have Blind Spots. We’ve worked with over 500 companies middle market companies in the past few years; we know what sneaks up on corporate leaders and their inner circles. We’ve documented the “IEDs” our clients experience that derail their strategy and execution because they didn’t see it coming. 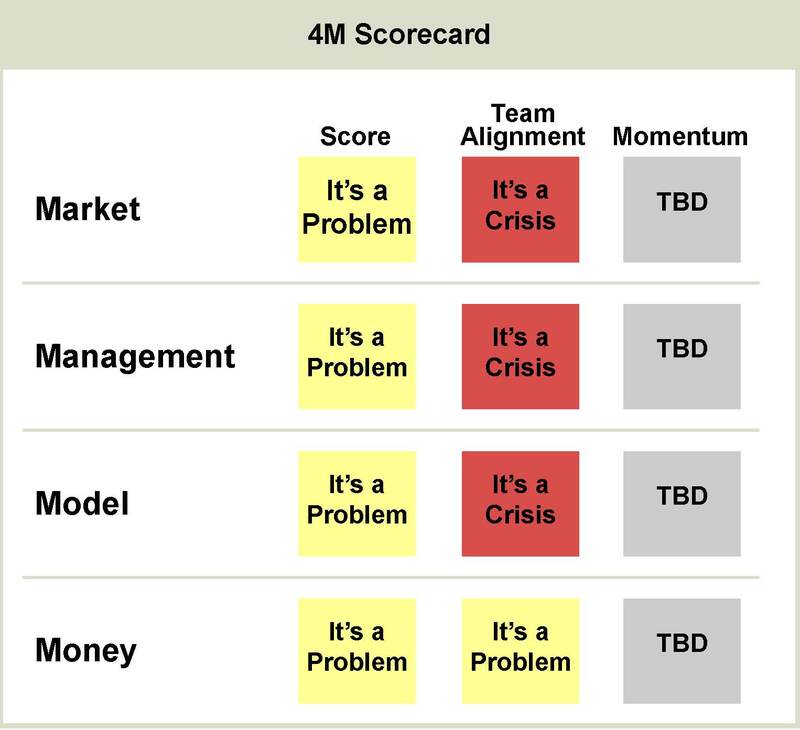 We identified team misalignment as CEO Blind Spot #1. Execution is almost non-existent when a team is out of sync on the company’s top priorities; but performance increases like magic, by at least 20%, when leadership rows in the same direction. Management 3 (2) from Brent Sapp on Vimeo. 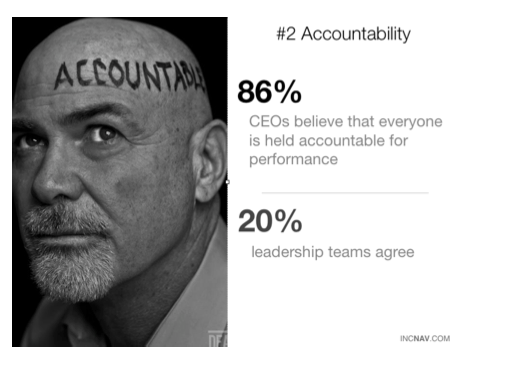 Accountability to performance is uncommon. Team accountability, where members communicate routinely and know the other members’ degree of execution, is rare. Is your team loyalty-based or performance-driven? Would your team members agree that you track individual results? Ask your team if the company culture is performance driven. If it’s not, and especially if your business growing, then you may be firmly embedded in No Man’s Land – where over 90% of growing companies fail. Scaling a business is like walking through a mine field; you’re willing to walk through it, but it sure helps to know where the mines are. Don’t be blind-sided by Blind Spot #2. Make the changes to transition your team, and strategy, from loyalty to performance. 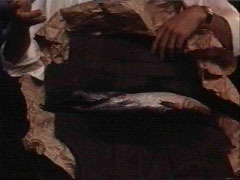 Sonny asks, “What’s this?” Right hand hit-man Clemenza responds, “It means Luca Brasi (their rock star assassin) swims with the fishes.” Paraphrase: Luca ain’t around no more. You’ve got to admire the guy’s chutzpa; which, by the way, is the reason those few entrepreneurs that make it generate over 85% of jobs. But even though this talented young man is fortunate enough to boast about his company’s growth, the odds are (overwhelmingly) high that his dream child will share the sandy bottom with Luca Brasi in just a few years. What are we missing? How can a growing company with a unique product and a brilliant founder fail? Why do these companies sink? For many, they sink because they don’t SYNC. In our breakout session my partner asked the audience, “How many of you think your team is in sync on your company’s top priorities?” Not one hand. We’ve seen the same response over the past few years with hundreds of CEOs around the country. A team out of sync is a team that lacks focus and accountability on the right priorities. Without alignment on critical issues like those I detailed above the company cannot prepare for the inevitable growth transitions that will occur when it’s too big to be small and too small to be big – which we call No Man’s Land. But here’s the good news: syncing a team is easier than you think. You just need a quick and efficient way to find out where the team is out of sync so that you can get on the same page and track performance. Next time I’ll describe how you can accomplish that feat in less than 10 minutes. If you want a sneak preview, visit www.IncNav.com. Until then, don’t open any unmarked packages that smell funny. 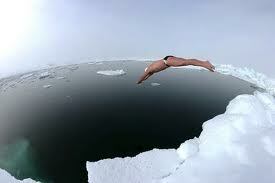 Let someone else do the swimming. Although The 4th Turning was published in the mid 1990’s it received little attention until 9/11, when many took notice of how that disaster fit into the 4 turnings, specifically the 4th. In the author’s opinion we are currently in the Crisis Turning, and could be for the next decade. But there is good news. The good news is that “heroes” have surfaced in every 4th turn to rescue the economy from collapse. The last 4th turning occurred in the Depression when The Greatest Generation stepped in, not only to emerge victorious in a World War but also to rebuild our economy with initiative, innovation and guts. Our country needs a “re-tweet” of the Greatest generation; men and women with the tenacity of my favorite uncle, Charles Harbin – known to friends and family as “C.W.”. He passed last year after a long battle with a debilitating back disease. But even with pain that would force a rhino to its knees, C.W. was the mentally toughest individual I’ve known by far. I loved hearing him tell stories over the years of his youth – growing up on a farm in a small Florida community during the Great Depression. Jobs were scarce and his choices were limited which required intense focus and bull-dog perseverance. His father handed him $150 on the night of his high school graduation then told his son he wished he could give him more, reminded him that his father he loved him, and wished him luck. C.W. caught a ride to the University of Florida that night with the professor who gave his graduation address. The professor dropped him off on the outskirts of town and also wished him luck. C.W. found cheap lodging and showed up at a local dairy the next morning looking for work. No jobs were available, but he committed to working at no pay until a job opened. He worked without compensation for three months. For the next four years C.W. 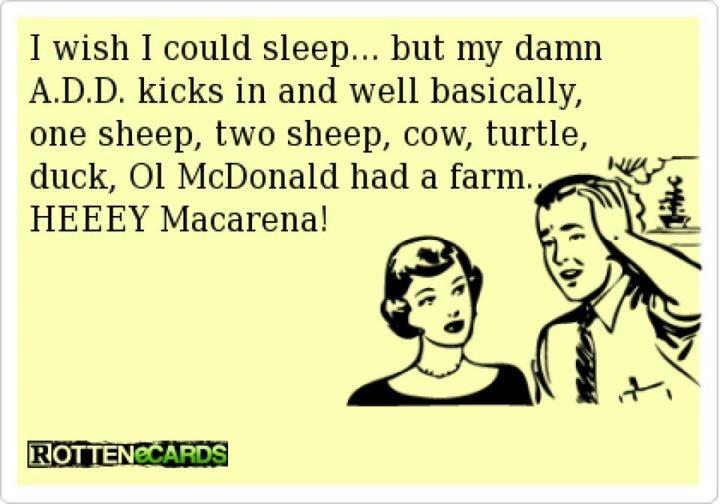 started work at 5:00 a.m., went to class in the afternoon, and studied at night. He joined the Marines the day after graduation because the job market was still tight and he wanted to serve his country. He fought in the Pacific campaign, including Okinawa. After the war he farmed tobacco and built enough capital to diversify. In time he became independently wealthy as a commercial developer. He employed many, help many, and was considered a pillar of his community. We need another wave, make that a tsunami, of heroes like my uncle – men and women with the courage and tenacity to step in to our economic war so that we can push through this Crisis and drift (as in racing) into the next “High”. 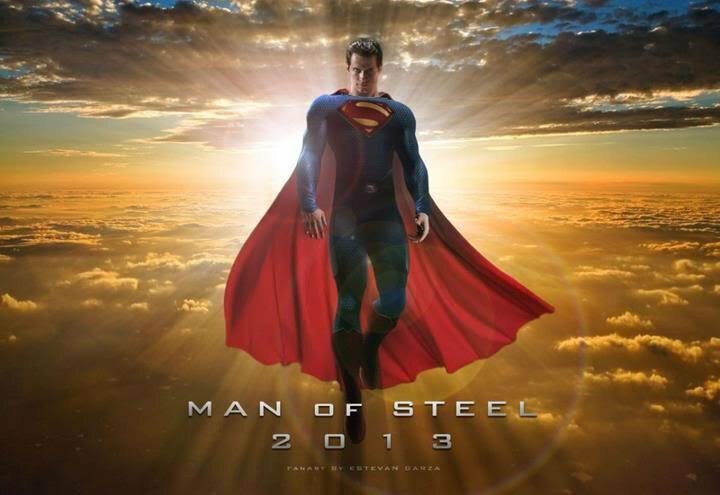 No, the Man of Steel can’t save the day – as cool as that might sound. Our heroes are those who are working 24/7 to fuel this economy with jobs and great ideas; those who are taking risk to beat the odds of failure. These crazy, courageous innovators are our Economy Heroes… our Entrepreneurs. Entrepreneurs generate jobs, Washington can’t. Entrepreneurs are our nation’s only hope to survive fiscally in the next decade. The term “Economy Heroes” is not only a nom de guerre for our entrepreneurs, it is also a movement – a freedom fight for entrepreneurs. Economy Heroes is a “Starfish” organization, as defined in Ori Brafman’s book The Starfish and the Spider. It’s distinctly decentralized in order to draw on the power of champions and catalysts from coast to coast who will push beyond Washington’s antics; and who will find new solutions that will fuel and motivate the success of those who are part of America’s competitive advantage in the world economy. Our heroes need ideas, information, events, etc., to move the needle on their success. The Economy Heroes movement was created to funnel those resources to entrepreneurs around the country. In the early 1900’s immigrants flooded into Ellis Island with hopes of grasping the brass ring of freedom. They journeyed from all points to pursue dreams and launch their own business. Our ancestors offered every ounce of their innovation forged with an unyielding work ethic to initiate a movement of what we now recognize as our nation’s competitive advantage – our entrepreneurs. They were then and remain today America’s Economy Heroes. We’re in the sharpest economic downturn since the Depression. Big business can fail, we know that now. Mega corporatations struggle to remain in business. We depended on them, invested in them and placed our confidence in them even though they (companies over 5,000 employees) generated only 2.2% of the jobs in this country. Small businesses fail too. In fact over 90% of entrepreneurial companies don’t make it, even though the less than 10% that do survive generate over 80% of employment and almost all innovation. These CEOs take risk to advance their ideas and fuel our unique cultural environment that enables entrepreneurs to march “North” while every else is marching “South”. They are not corporate “rock stars” like Jack Welch. Their stories are not as legendary as SouthWest, FedEx, or Walmart – yet. Economy Heroes are more important now than any other time in our history. They need attention, not bailouts. What will turn the current economic tide? Our labor cost? Our engineering? Our science? Wall Street and Washington can’t move the needle. The market plummets like a millstone in open water. We watch the 24/7 news stations with sweat streaming from our pores as we internalize the dramatic blow by blow anchor blather. We fantasize the worst, and our political leaders react with one “magic trick” after another; hoping something friendly will appear and be embraced. We must elevate awareness and provide support to our Economy Heroes. 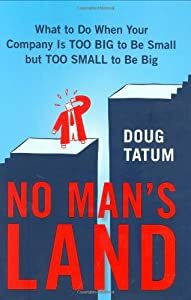 All entrepreneurs eventually face “No Man’s Land” (a term formed by Doug Tatum, author of No Man’s Land: A Survival Guide for Growing Midsize Companies). No Man’s Land is an inevitable “adolescent” stage of corporate growth where most companies fail. Corporate adolescence often produces agonizing battles between the habits of a lonely entrepreneur and the immutable laws of growth. The result is often confusion, frustration, stagnation, and loss of employee morale. Our heroes face huge obstacles; they require essential information, accountability, capital, and political support to succeed. If they thrive, our economy will survive. Like the courageous immigrants of old, our Economy Heroes provide the fiscal hope for our present and future. They are America’s competitive advantage. It’s that simple. Even if we are in the 4th Turning Crisis stage of our historical economic cycle, we need not fret; all we need to do is to pave a clear path for our Economy Heroes and let them do what they do best – CREATE JOBS! The Growth Illusion or… How Does a Ferrari Leap a Canyon? People think there’s some kind of continuum between the smallest and biggest business – an unbroken line between me and the mouse on my desk and Microsoft – and that there’s some magical moment where you transform from being a small to a midsize to a large business. In fact, research shows that to be very far from the truth. Each form of business is a totally separate beast, and there are vastly different skill sets in running each one. 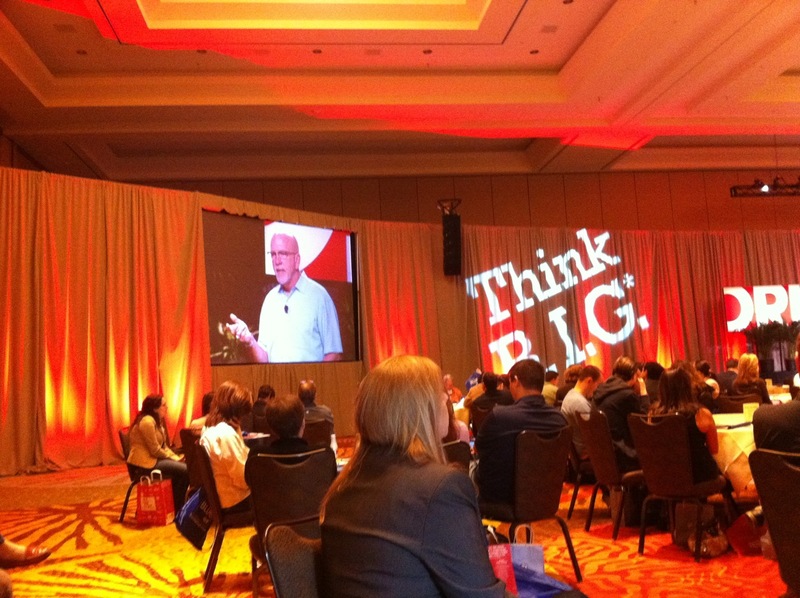 The real difference between a small business and an enterprise is the owner’s attitude toward growth. A Silicon Valley start-up is completely focused on getting big, and naturally risks failure to get there. A true small business, on the other hand, is focused on becoming profitable, feeding a family, and staying in business. That’s a fundamental psychographic and cultural difference. She’s driving her new Ferrari with the top down. It’s a beautiful day in SoCal and the needle is creeping over 115 mph. Speed increases and life is good. What she doesn’t see is a 1000 ft. chasm she has to jump a mile down the road. Entrepreneurs riding a growth curve often can’t see the curve for the chasm. What Ridgely calls is a “magical moment”, my company calls it No Man’s Land. ALL companies go through it. No Man’s Land is an inevitable, unavoidable growth transition every Entrepreneur must face. Whatever “beast” (as Ridgely identifies) your company becomes, it must ask the “Small Giant vs. Gazelle” question I mentioned in previous posts, and then review the business in the context of No Man’s Land. Is my company nearing the chasm? Am I already in the chasm and need thrusters to clear it? Don’t wait, it may be a glorious SoCal day, but the chasm is coming. Will Your Company be Good 2 Late? 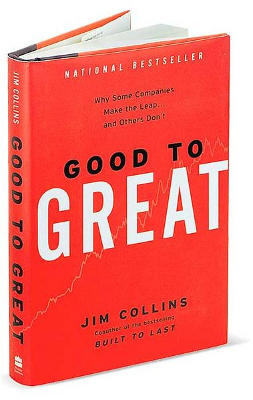 I read the Jim Collins classic Good to Great three times and discussed it with a group of talented business people once per week for over a year. I was baptized in the gospel of the Hedgehog, the Level 5 Leader and the 3 Circles. I know the statistics of what the heralded 15oo did right in order to sustain growth and market leadership for so many years. Since then I’ve learned another stat. Each of those card carrying G2G behemoths employ over 5000 people; which sounds immensely impressive until you consider that companies that employ over 5k employ over 2.9% of our workforce. It’s fascinating to consider how Walgreen improved themselves with a new competitive advantage via their online experience, but Walgreen didn’t invent their innovation. It’s compelling to learn how Wells Fargo forged its way through economic swings, but Fargo didn’t GoFar when it came to creating enough jobs to move the needle on our country’s unemployment rate. Collins focused on the successful Fortune 500 size institutions to surface the diamonds of insight of what they did right. But what of the real innovators in our economy? What of the companies that generate millions upon millions of our jobs, even though over 9 out of 10 of them fail? What can we do to prevent these courageous Founders and their fledgling ventures from being Good 2 Late? 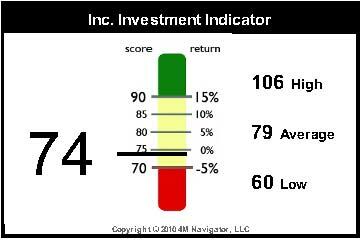 The Inc. Investment Indicator enables a company to measure the return it generates on capital – both physical and personnel. Most emerging companies don’t consider the financial impact of an executive hire on their risk level. Employees impact ROI on capital as much as a lease or hardware purchase. This company is already moving dangerously close to capital collapse; and even though they have the opportunity to scale their business, capital constraints will prevent them from doing so. Entrepreneurs rarely see IT coming; and that IT is No Man’s Land. It’s the chasm of the inevitable transitions that a company must hurdle in order to scale the business. If CEOs and their leadership teams can sync on the right priorities and prepare for No Man’s Land, they are less likely to step on the same landmines of those who were Good 2 Late.